5つ星のうち5.0What a wonderful, intelligent, insightful and awesome magazine!!! 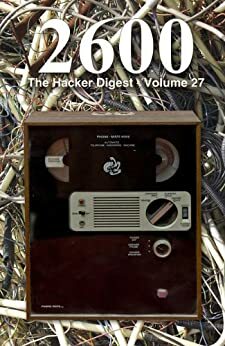 2600 is such a breath of fresh air. The articles and letters are very insightful, and I always learn new and fascinating things about lots of high and low tech topics. I used to buy the printed magazine for years, then sort of forgot about it for a while when my subscription ran out. Then I ran into the Kindle ebook version while browsing the web and fell in love with it again. I can't believe I ever stopped reading this magazine. It's just too relevant to life today to give up. This volume in particular covers tons of great topics and is an awesome read. Highly recommend it!!!! !